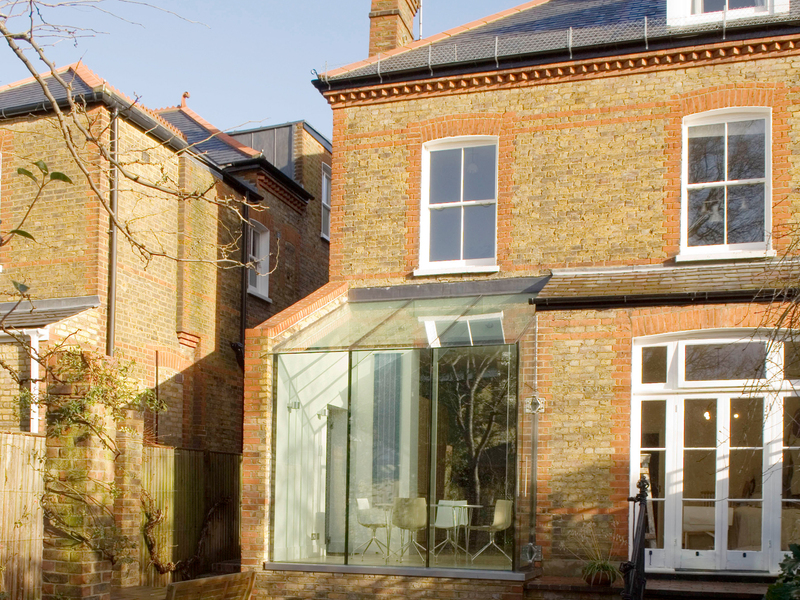 this rear extension to a victorian property in twickenham doubles as a viewing platform for its’ large rear garden. 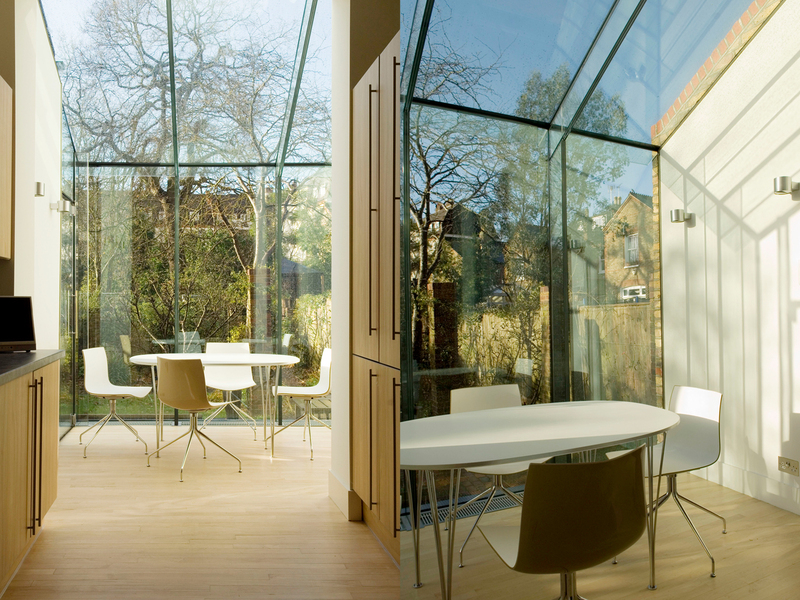 the minimalist frameless structural glass features a glass coating which prevents unwelcome heat gain in the summer. the glass box creates a distinctive contrast to the adjacent victorian extension and reflects daylight deep into the existing kitchen space.